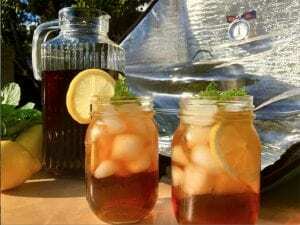 Southern Sweet tea is divine on a hot summer’s day. It’s more than just adding sugar to iced tea. Some like their tea more or less sweet. Or tea steeped for more or less time. This recipe is a good place to start, and can be adjusted to one’s taste. There’s a secret ingredient, Baking Soda. It neutralizes the tannins in tea, giving its smooth sweet taste, and keeps it from getting cloudy. Refrigerating also allows the flavors to meld and improve. It’s southern hospitality to keep a pitcher on hand for when guests are over to serve a cool glass of sweet tea. With a glass in my hand, I can imagine myself on a porch swing, sipping sweet tea and watching fireflies. 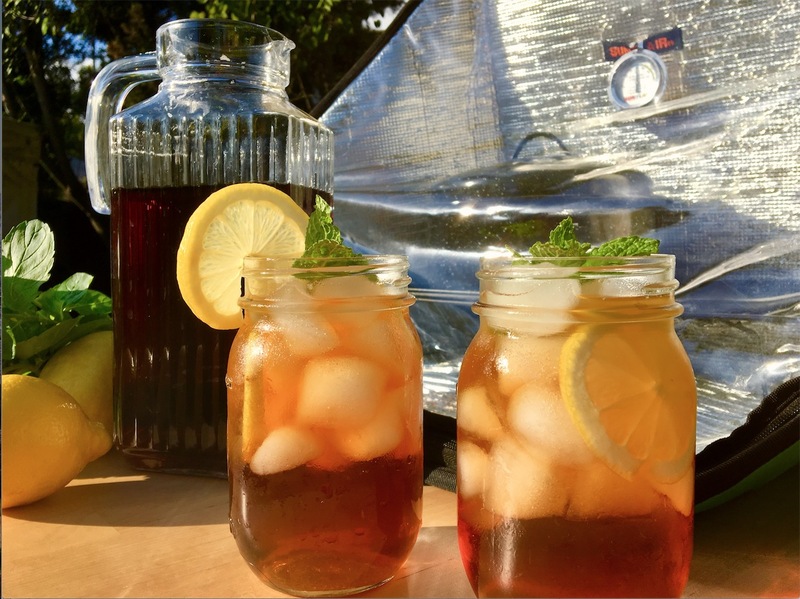 Feel free to let us know how you make your sweet tea. Add baking soda and 2 cups water water to a 64oz pitcher. Cover and place in Sunflair®️ until hot. Remove pitcher, place 6 black tea bags in water, and cover for 5 min. Add 6 cups cold water. Pour over a glass full of ice, garnish with lemon and mint.